The recent and gruesome video of a cow being slaughtered in Milton, On which was circulated around the Islamic celebration of Eid, raised awareness of Halal slaughter practices in Canada. I wrote about it here and here and here. It is being investigated by the SPCA and the Ministry of Agriculture. 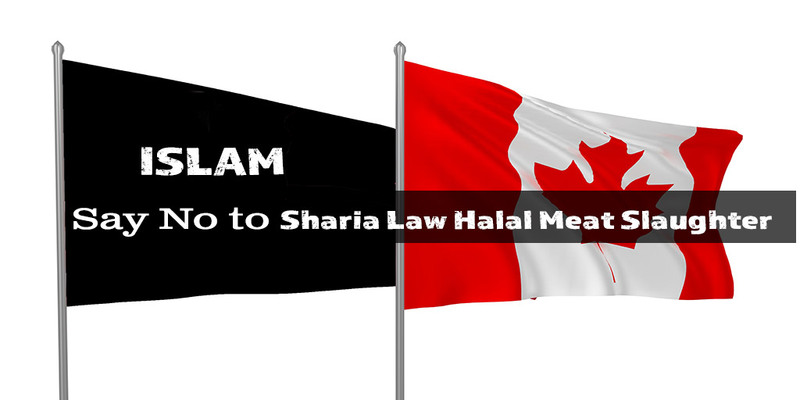 The video below provides a brief overview of Islamic Halal meat slaughter in Canada, a practice which is dictated by Sharia Law. Paid 1.5 Million to Muslim Workers Who Walked Off the Job Over an Islamic Prayer Dispute. Click here for an article by Reuters and here for an organization that tracks how Sharia Law is creeping into North America. Here is further information about Cargill Inc. in Canada. Cargill’s Guelph, Ontario facility is 100% Halal and produces about 1/2 of Cargill’s beef processing in Canada. This article from the U.K. is an example of the determination of Sharia Law Islamists to indoctrinate Islam into the meat processing industry regardless of: animal welfare experts protesting the inhumane treatment of the animals; and, the religious beliefs of Non-Muslims. 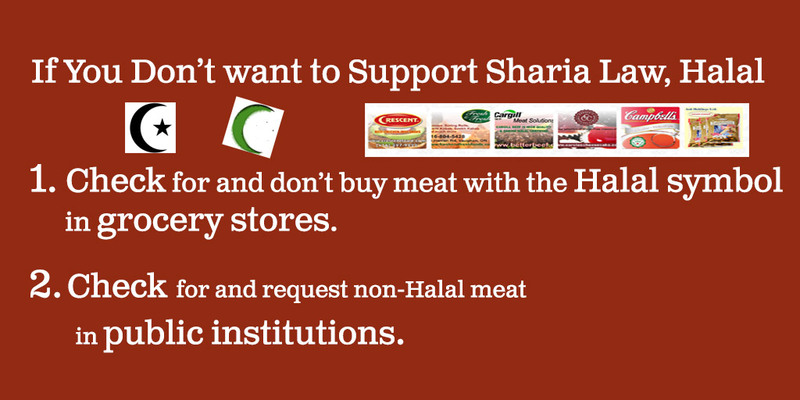 Universities: The University of Toronto and The University of British Columbia Food Services are two universities (notably, two academically exceptional universities) that serve Halal chicken and/or burgers exclusively. Grocery stores: You have to love Costco for many reasons, but reports online indicate that it has a broad selection of Halal meat that isn’t clearly enough labelled as Halal, and people end up buying it without realizing it’s Halal. 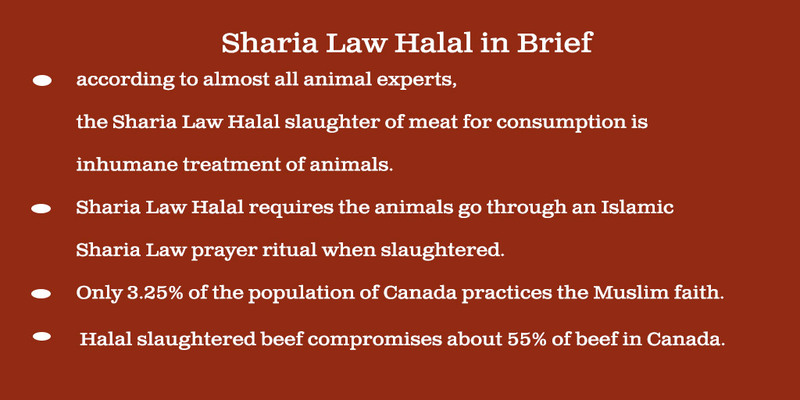 This entry was posted in Halal Islamic Sharia Law, Think Over News, Videos and tagged canada, halal, is halal inhumane, islam, meat slaughter, sharia law, what is halal.